Once, a long time ago, affordable sports cars roamed the highways and byways of this great land. The dream of a roadster (or coupe) in the garage was well within reach, and shared by many. 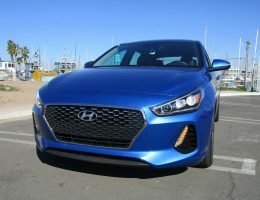 Safety regulations, Crossovers, SUV’s, Baby Boomers with bad backs –it seems like they all conspired to do the sports car in. Many manufacturers just walked away from those who love to drive the most. But luckily, some didn’t. The herd has been thinned out, but the ones that remain are pretty darn good. The Miata comes to mind – The Subaru BR-Z/Toyota 86 is another. And one of the best has been offering a great drive for nearly a decade. 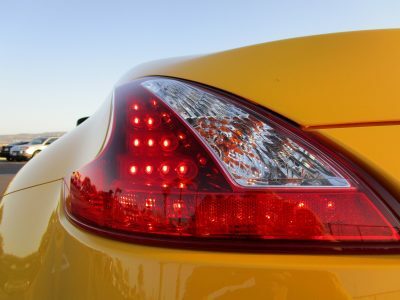 The Nissan 370Z. 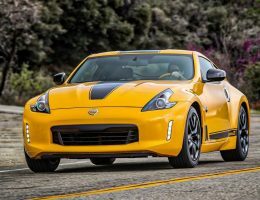 We were especially excited to get our hands on the 2018 Heritage Edition – not necessarily for the screaming yellow zonker paintwork, but for the fact that it’s basically a base-model Z. We’ve driven mostly-loaded models of the Z in the past, from Roadster to ultra-hot NISMO Z, and we wanted to see how the least luxo, least gizmo, and most bang-for-buck Z differed. 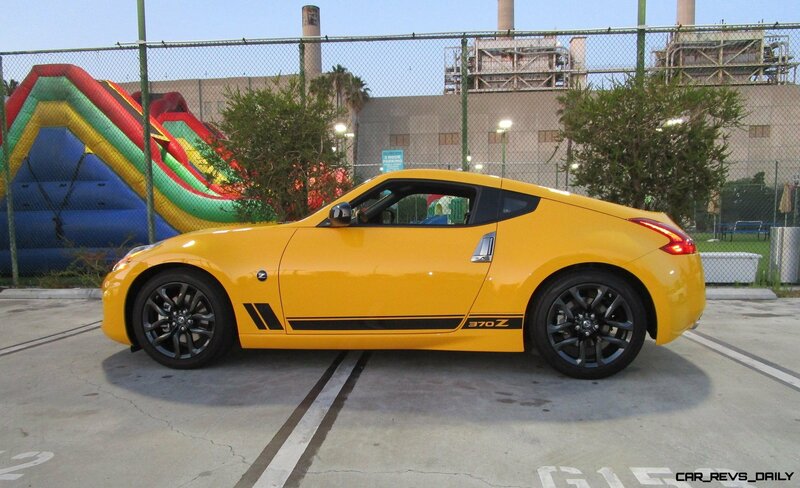 The Z basically is the same aggressive 2-seat coupe (and convertible) that bowed in 2009. 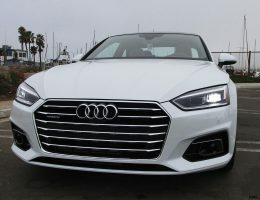 It got a minor facelift in 2012, where the trademark front “fangs” got pulled, and twin vertical LED driving lamps gave it a more modern look. Ok, approaching 10 years old is not usually a recipe for design success, but we think the Z looks as strong today as it did when launched. So, let’s talk about that yellow. 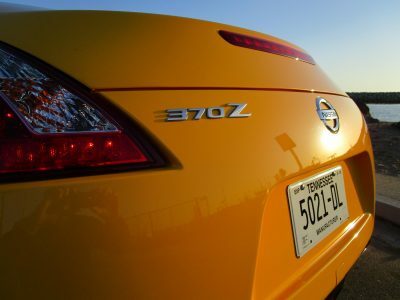 Known officially as Chicane Yellow, this was one of the colors that was offered when the 370 debuted in 2009. 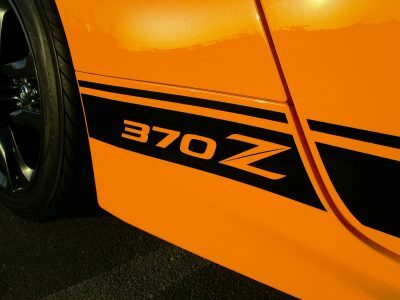 It went away, but then was brought back as part of the Heritage Edition, with a black striping kit inspired by the 280Z ZZZap Special Edition. Both of which are cosmetic. 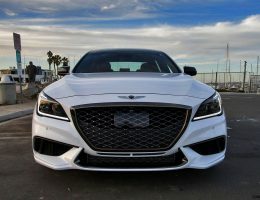 Still we kind of like the stripe package – it’s friendly, and with the blacked-out wheels, you feel like you’re driving a giant hot wheels car. And everyone seemed to smile as it went by. For 2019 the Yellow goes away in the Heritage Edition, and won’t be offered elsewhere, so act now if you like having your retinas burned. Stepping inside, little has changed as well, and that’s fine. 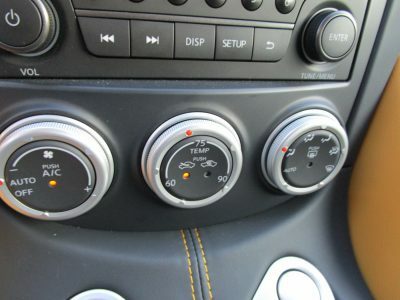 The driver is met by a cool 3-gauge binnacle, with tach dead center – where it belongs on a sports car. To the right a nice big speedo, and to the left, a digital trip computer. All three move with the steering column, so you always have a clear view. Very Cool. 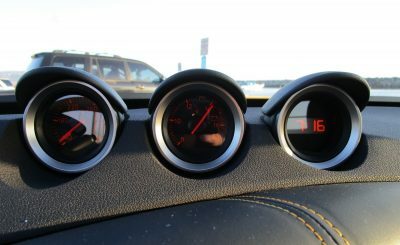 And continuing the Z tradition, a trio of auxiliary gauges sit on top of the center console, serving up engine temp, battery charge, and time. Also very cool. 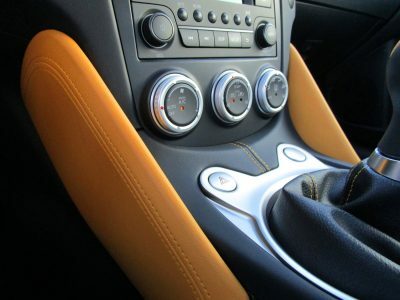 The steering wheel feels lovingly designed to fit your hands, and the fat-leather wrap lets you steer with authority. 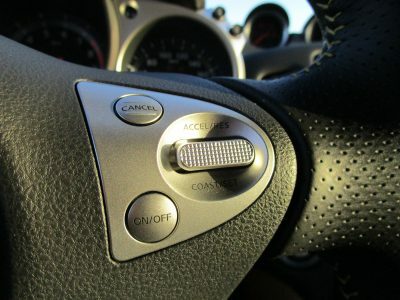 Even the shift knob is clever, with more padding on the sides to help you slap between gates, but less on the front and back of the knob, to help give a more positive feel when shifting. Who thinks of these things? Nissan does. 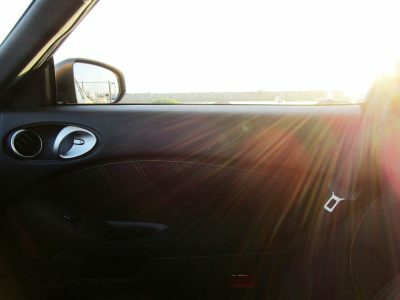 They also make sure you have a comfortable place to do business – even though these are the base cloth seats, they are exceptionally comfortable – grippy to hold you in place, and positioned higher up so you don’t feel like you’re sitting on the floor like the Miata or Toyota 86. 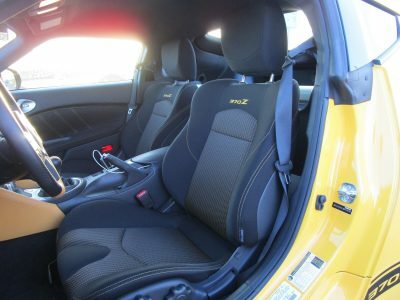 If you’re a fan of yellow, you’ll love the interior, with yellow leather accents on the steering wheel, shift lever, knee pads, and yellow stitching throughout the cabin. 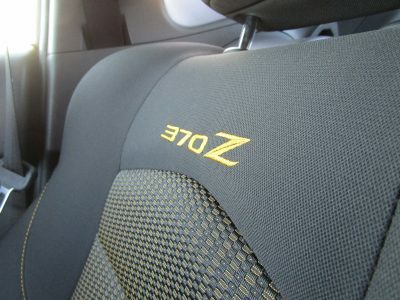 While the Z coupe can be a bit of dark place, we’re not sure this is our cup of tea. That’s easily fixed – get a base model instead of the Heritage Edition. Not so easily fixed is the base sound system. A 6-speaker AM/FM/CD player, it feels and looks old school. The red digital readout is tiny and hard to read. 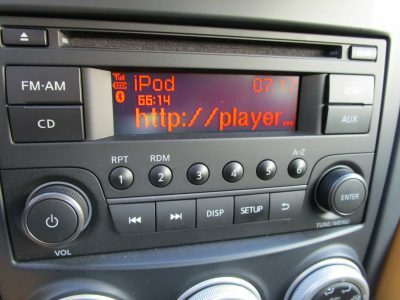 At least you have a UBS port in the glovebox to hook up your iPhone – there’s no streaming Bluetooth audio. Despite all this, the system actually sounds pretty good. 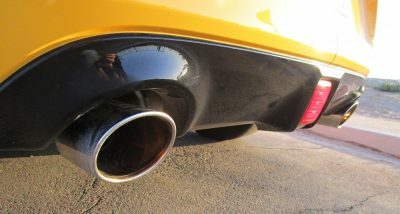 Of course, you might not be that interested in the sound system – sports cars are for driving. 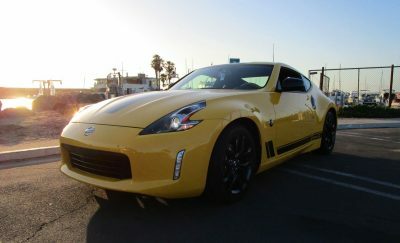 And here was one of our greatest surprises – this is the best driving Z we’ve tried. Which is not to say the fastest. 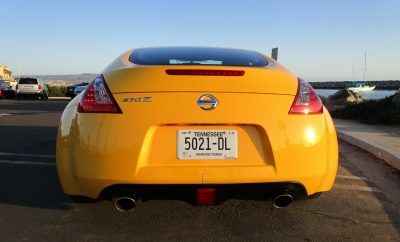 Under the hood is the same 332 hp V-6 you’ll find in every Z (the NISMO has a special exhaust that bumps the HP to 350). And it’s big and brawny. You want a whiny 2-liter turbo four? Look elsewhere. 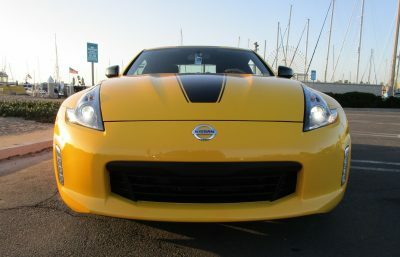 You know this is a big engine – it punches hard from low rpm and the Z growls and goes. 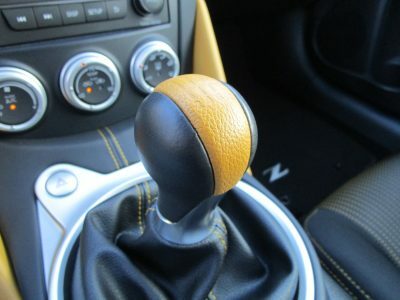 You make rapid progress – the Z is seriously fast – but once you get past 5,000 rpm it doesn’t sound happy, and it feeds vibration to the pedals and wheel. 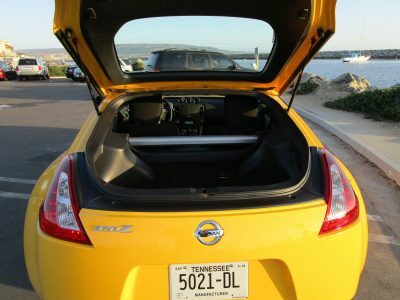 Now we understand why on more expensive models, Nissan gives the Z active noise cancellation and engine sound enhancement, pumping sound through the Bose audio system. It makes the engine experience sweeter. Faster? No. 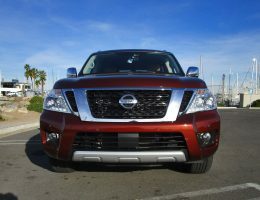 With the base model, you’re also priced out of performance equipment found on more expensive models like the viscous limited-slip differential, the SynchroRev-match manual transmission, and the butch-looking 19-inch RAYS alloy wheels. And that’s all really nice stuff to have. But we really didn’t miss it. If we were autocrossing that limited-slip would be nice. 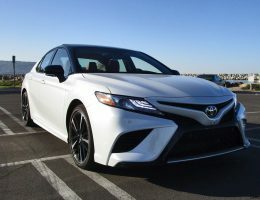 As far as SynchroRev, the transmission shifts easily and cleanly, and the new Exedy performance clutch they added last year is light, with good feel. Heel and toe downshifting is easy. 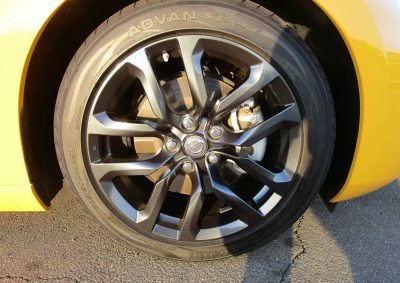 And while we love the look of those big 19-inch wheels, we were surprised how much better the Z performs on the Heritage model’s 18-inchers. With more sidewall, the ride is notably more supple – surprisingly comfy even on bumpy roads. The steering feels lighter and more precise, and the acceleration feels stronger too. You probably lose some ultimate grip, but for a street car, the 18’s are better. 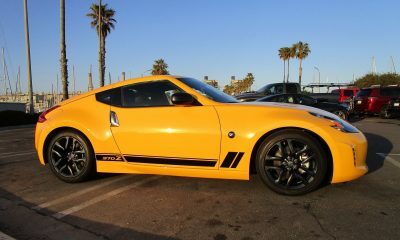 One area where the Z has always excelled is bang for the buck. 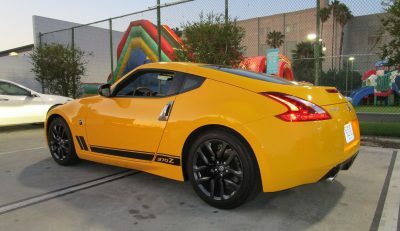 A base 370Z coupe starts at $29,990. The Heritage Edition comes in at $30,780 – not a lot for the exterior graphics and interior bits. 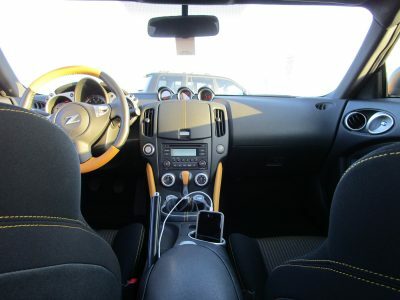 If you want the added performance parts, plus Bose premium audio, the 370Z Sport model comes in at $33,720. 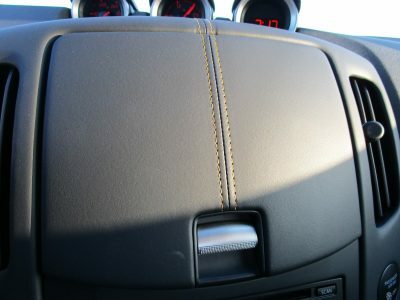 And if you want Leather, Navi, Bluetooth streaming, etc. 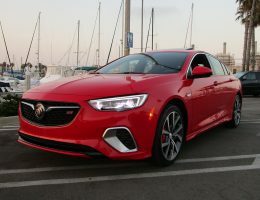 The Sport Touring starts at a cool $38,090. All models are available with a 7-speed automatic for $1,400. 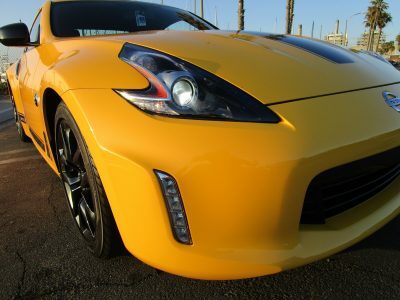 For the true fanatic, the 370Z NISMO is $45,690. Competitors for the 370Z Heritage area hard to find. A Miata and GT 86 are smaller more delicate sports cars, priced at $25,295 and $26,455 respectively. You can shop Camaro’s and Mustangs, but we feel they’re more sports coupes than sports cars. You gain space, but you lose the intimacy with the drive. 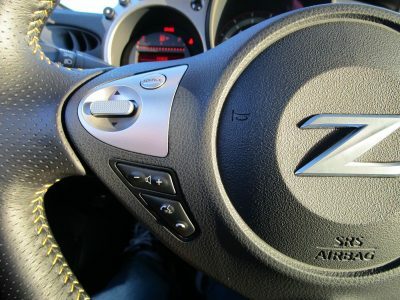 In many ways, the Z is one of a kind. 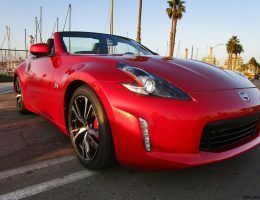 Rest easy enthusiasts, Nissan is keeping the sports car dream alive – with the exciting, exhilarating, honest, and affordable 370Z.